Support from family and friends is an indispensable component of success in addiction recovery. Alone, those suffering from substance abuse are at risk of relapse, even when appearing to have their addiction under control. Anyone who has someone in their life struggling with addiction recovery may wonder what role they can play in their loved one’s recovery. One way family and friends can support a recovering addict in an impactful way is by helping them to get their lives back on track after their recovery. Although manageable through treatment, addiction is a chronic condition. Because it can be a life-long struggle, long-term care is a necessary component of successful recovery and management. Aftercare treatment plans include ongoing individual, group, and family counseling. Recovery is a word tossed around in addiction treatment. It’s an important concept because it reflects the nature of the addiction disease. Addiction doesn’t just go away. It is persistent and can pop back into someone’s life for a variety of reasons. Since addiction’s causes are complex and individual, it can be difficult to guard against relapse. Recovery is a way to summarize all of the benefits of positive management and maintenance of addiction. All aspects of personal health -- physical, mental, emotional and social wellness -- are included in recovery. Recovery programs vary, but the most popular and accepted programs are based on group and mutual support, such as Alcoholics Anonymous and Narcotics Anonymous. These are programs that outline consecutive activities that lead to and enable recovery. ● Accepting that substance use disorders can be halted but not eliminated. ● Admitting that the addict needs help. ● Giving in to a personally defined “higher power.” Although there are numerous references to spirituality, even those without religious convictions can benefit by viewing their higher power in terms of the power of group support. ● Admitting one’s wrongs and faults. ● Being ready to remove wrongs and faults. ● Asking a higher power for help. ● Identifying those who you’ve harmed. ● Making amends to those you’ve affected through your addiction. ● Continuing your personal inventory of faults. ● Committing to spiritual practice. ● Being ready and able to help others. Twelve-step programs are sometimes criticized for a variety of reasons, including that its central component of an addict’s powerlessness over the disease encourages deflecting responsibility. Ultimately, the programs are just tools for support that can be helpful if wielded properly. Beyond 12-step programs and individual and group counseling, certain medical interventions such as maintenance medication may be appropriate as part of recovery. These drug replacement programs, such as the use of methadone and buprenorphine in the case of opioid addiction, help those with certain substance abuse disorders to manage their addictions. Similar medical interventions are available for those with an alcohol dependency. Help for recovering addicts extends beyond treatment programs and medical interventions. Services such as housing assistance, employment support, education, and assertive community treatments are available to help prevent the chance of relapse. Additionally, these services also help families manage their resource options. Family and friends are a crucial part of the post-treatment recovery process. Often, the greatest impact a friend or family member can make in an addict’s life is to remind them of the resources available. This requires knowledge of the available recovery programs and an understanding of the risks and potential for relapse. Understanding that addiction needs mutual support, including assistance from others who may be addicted, can help avoid isolation and management failure. Adam Cook is the founder of Addiction Hub (http://addictionhub.org), which locates and catalogs addiction resources.He is very much interested in helping people find the necessary resources to save their lives from addiction. His mission is to provide people struggling with substance abuse with resources to help them recover. 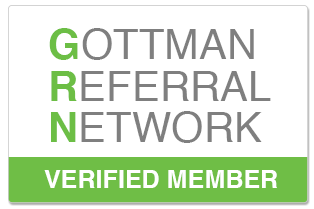 Newer PostMaking a Relationship Work - What Is Gottman Method Couples Therapy?